On the banks of the Colleton River in Bluffton, South Carolina just a few miles from the bridge to Hilton Head Island, Belfair Plantation gives you all that you would expect from a first rate private golf community in the Lowcountry: World class golf, substantial amenities, magnificent scenery and beautiful homes. It does so without pretentions often associated with the golf communities. The atmosphere – informal and laid back, not opulent and elite – makes it appealing to all from retirees to working empty nesters to families with young children. Belfair Plantation beautifully exemplifies the “Lowcountry Lifestyle.” A common thread among real estate developments in the region is a deep reverence for the natural environment and you witness that immediately upon entering Belfair Plantation where its “Avenue of Oaks” – a half-mile long tunnel of beautiful moss-draped live oak trees – greets you and guides you in. Two 18-hole championship golf courses obviously appeal to the real estate buyer interested in a private golf club community, but Belfair is not so narrowly focused on golf that other interests are neglected. Its amenity package features facilities not always associated with golf communities like softball fields and basketball courts, giving it a lively, family friendly neighborhood atmosphere. Belfair Plantation is a place where you get to know your neighbors. Of approximately 450 homes on the property over 300 are primary residences. The location is among the best in the entire Hilton Head Island/Bluffton area. Just outside the gate you are at the epicenter of greater Bluffton and a short drive to the beaches on Hilton Head Island. Meanwhile, inside the gate is a private oasis on the river. Every home in Belfair Plantation is single-family construction. Most are Lowcountry style architecture with 2 or 3 car garages and porches. You will find no townhomes, villas or patio lots. The average lot is ½ acre with most overlooking fairways, water or woods. Although there are larger estate homes at 6,000 sq. ft. or more on the property, the prevailing trend for new home construction leans toward the 2,800 sq. ft. to 3,500 sq. ft. range. Homes for sale start in the low $400,000s and run as high as about $2 million, but the majority falls into the mid $500,000s to $800,000 range. 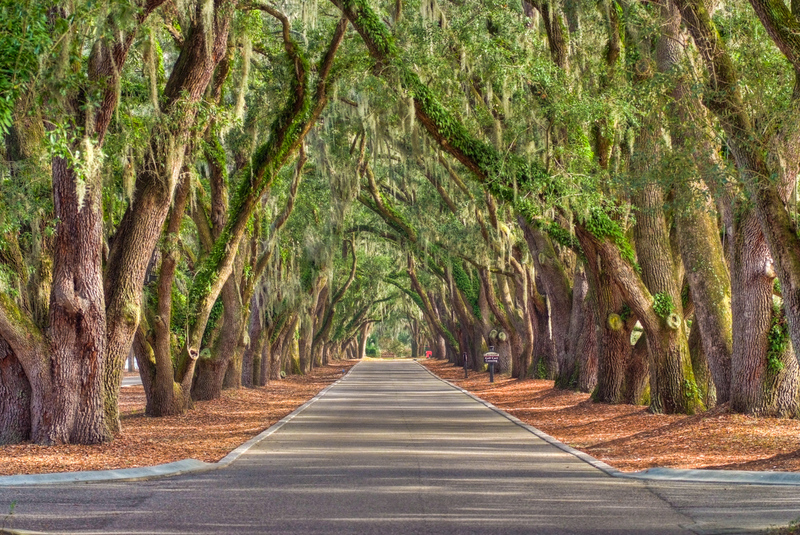 Belfair Plantation’s main entrance sits approximately 7 miles from the bridge to Hilton Head Island on Bluffton’s Hwy 278 corridor. The location is convenient to Bluffton schools and all of greater Bluffton’s shopping, dining, professional services, churches and the popular Old Town nightlife, art galleries and riverfront. A bonus is the adjacent Belfair Towne Village retail and professional center that residents can access through the Plantation’s East Gate to avoid Hwy 278 traffic. Savannah, GA and the Savannah/Hilton Head International Airport as well as historic Beaufort, SC are all less than 45 minutes away. Golf – With two 18-hole championship golf courses and a first-rate training and practice facility, Belfair Plantation’s golf amenities stack up to any in the Lowcountry and beyond. West Course – The parklands style West Course is the picture of Lowcountry golf with rolling terrain, ancient life oaks, lush native grasses, lagoons and elevated undulating greens. East Course – Open windswept fairways, deep-water views, and fresh water lakes and lagoons suggest a Scottish links track on Belfair’s walk able East Course. Jim Ferree Golf Learning Center – Large multiple tees, putting and chipping greens, practice bunkers, target fairways and greens, an indoor hitting room and video library, a 5,000 sq. ft. putting green and top-notch professional instruction make the Golf Learning Center one of the finest of its kind. The Belfair Clubhouse – Renovated and expanded within the past five years, the Belfair Clubhouse serves as Belfair Plantation’s social hub. Residents enjoy fine and casual dining, community events and over 20 organized clubs meet regularly in the Clubhouse. Belfair Fitness & Sports Center – The Fitness & Sports Center is – among other things – a headquarters for Belfair Plantation’s many tennis buffs. The Center features six Har-Tru and two grass courts, and year-round exhibitions, tournaments and clinics. Other amenities in the Fitness & Sports Center include a Jr. Olympic sized pool, lap pool, a fitness center with professional training staff, basketball and volleyball courts, a soccer field and a pickle ball court. Nature Preserves – Belfair Plantation’s Colleton River frontage and a 42-acre chain of fresh water lakes snaking its way through the community make it the perfect for fishing, bird watching, or simply taking in the Lowcountry’s natural beauty. Leisure Paths – Nearly 30 miles of walking/biking paths wind through the neighborhoods and Belfair Plantation’s nature preserves. Belfair Plantation is worth considering for the homebuyer interested in a private golf community with all the amenities, but not necessarily a retirement community. It is a family friendly community where more and more folks are choosing to raise families. With relatively low club fees, it might be one of the best private community value propositions in the Hilton Head/Bluffton area.